Many of us had childhoods shaped by comics. Whether we appreciated the art, the escape from every day life, or in most cases both, comics provided many of us with our first personal experiences with artwork and gave many of us the dream of becoming cartoonists or illustrators. This is fairly amusing, since it's only recently that comics - thanks to the advent of the graphic novel, and the maturation of a generation raised on them - have started to be regarded as a serious artform with real narrative potentials. 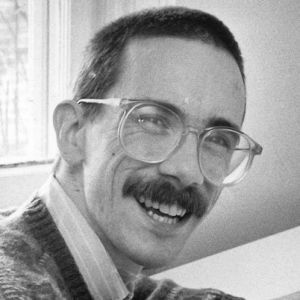 Of course, this was always clear to those of us who appreciate comics, but it's largely due to the influence of the dedicated and skilled graphic artists that helped pave the way, and few were more dedicated, more beloved, and more sorely missed than Bill Watterson, the creator and brains behind Calvin and Hobbes. Watterson is a famously reclusive man, and once he retired from drawing Calvin and Hobbes (a dark, dark day for all those who eagerly awaited his material), he has barely granted a single interview or put himself in the public spotlight in any way, shape or form. Thus it was with unsurprisingly little fanfare (at least, initially) that he briefly came out of retirement for a guest appearance, drawing a comic strip called Pearls Before Swine. As if that wasn't cool enough on its own, Watterson and Stephan Pastis, the creator of Pearls Before Swine, have decided to auction off the original artwork from the comics. While there were only three strips that Watterson agreed to guest draw, the original artwork is the only public work he's completed since his retirement from Calvin and Hobbes, nearly 20 years ago in 1995. The artwork will be sold by an auction house based in Dallas, Texas, with the proceeds to go towards a charity named Team Cul de Sac, which is a charity established on behalf of Richard Thompson, a cartoonist with Parkinson's disease. The funds will then be passed on to the Michael J. Fox Foundation for Parkinson's Research. The auction house has estimated that each strip's original artwork will sell for upwards of $10,000 USD, which should bring in a nice chunk of change for the associated foundations.